The old expression still rings true, but it’s only half the story. A fence is not strictly a perimeter that surrounds a property or divides one back yard from another. This may be true in tight spaces where separation or buffering is not possible with planting making a fence the only option. 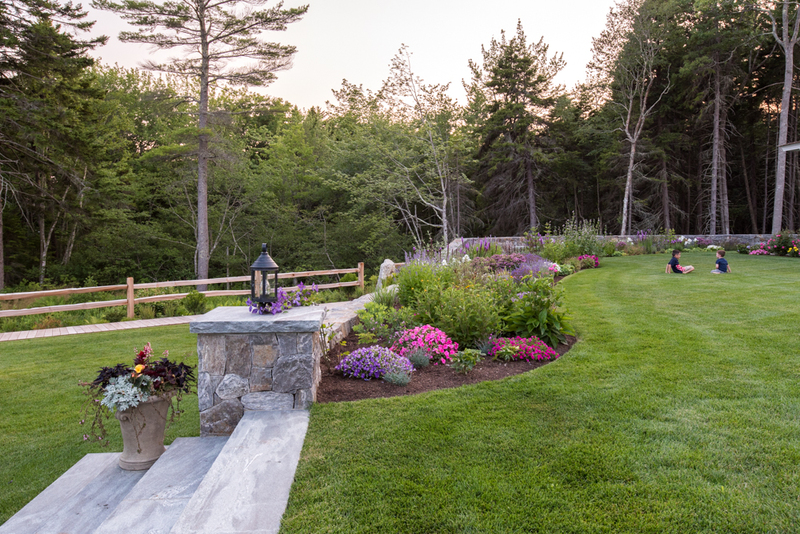 The full story is that in creative landscape design, fences play a more diverse role. They can create a dramatic backdrop for plantings or provide a structure for plants to climb on. Used in this way, the fence becomes a “Vertical Garden” which can be used in areas where a traditional garden is not possible. Fences are often used to keep children and pets safe, but they are a perfect example of a functional element that can become fashionable through good design. Here in Maine, we can have Mother Nature play a role in the usefulness of a fence. It can become barely visible in some seasons or a highlighted design element in others. Fencing can be constructed to compliment any design theme or home improvement trend. Pergolas, arbors, and trellises also provide artistic and functional elements to your yard or garden. These garden structures accent entrances, become garden focal features, provide shade and improve privacy. They can be the best solution to add a vertical element to your garden. By adding color and texture to the landscape, fences allow the homeowner to give their yard a personal touch. Whether they are constructed of traditional materials, like red cedar or pressure treated spruce, or made out of maintenance free vinyl, or even masonry, a fence can be designed and constructed to fit anyone’s unique style. Anchor Fence in Kennebunk Maine has long been synonymous with expert workmanship and high quality fencing materials. 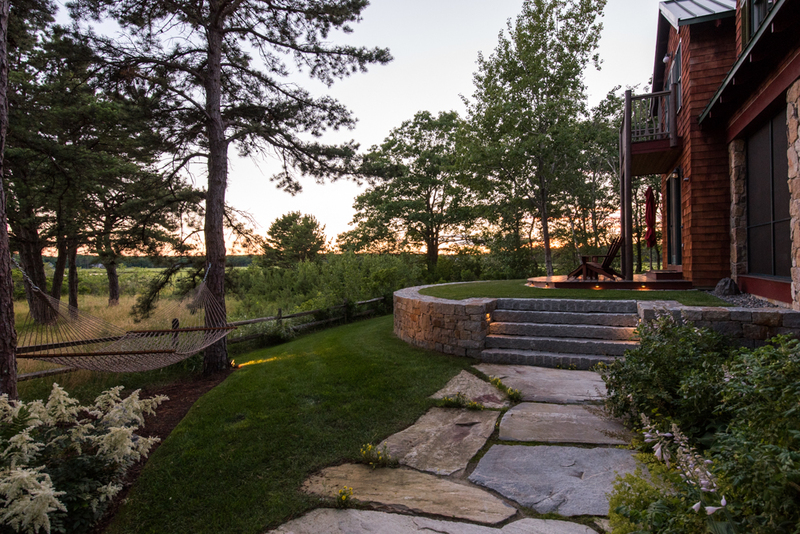 When working on a landscape design that calls for a functional, or fashionable fence application, we rely on the knowledgeable staff at Anchor Fence to help us make our clients dream come true. Want to see some fence options in person, or speak to someone about a quote? On Wednesday March 22, from 3-5pm the businesses of the Kennebunk Home Improvement Mile ( Route1 South) will be holding open houses. The event is sponsored by The Chamber. This is a great opportunity to visit these great local businesses and start gathering ideas and contacts for your next Home Improvement project. Terrapin Landscapes will be on site at Anchor Fence from 3-5 pm to officially open the new outdoor furniture showroom that includes a display patio and fire pit we built for them. Hope to see you there!